US startup Kierin NYC has teamed up with Mathieu Nardin, an innovative, new generation perfumer, to create a new collection of vegan fragrances. Kierin NYC state that they believe in allowing consumers to express their unique styles without the confinement of expectations, and for this reason the fragrances aren’t marketed by using any spokesperson or celebrity. Committed to being environmentally and socially responsible, the perfumes are made using sustainable materials and packaging and they partner with responsible, traceable suppliers. 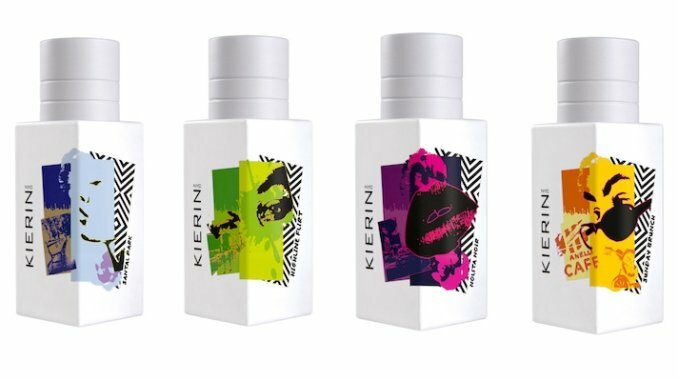 Kierin describe their products as “artistic, genderless and individualistic”, and say that each fragrance is an artfully crafted collage of scents inspired by energetic vibes of an urban lifestyle. For example, their fragrance Sunday Brunch is a “unique, gender-all blend […] a bold and balanced olfactive harmony of citrus and floral,” containing natural ingredients such as Italian Bergamot, Lemon, Earl Grey Tea, and Jasmine. Their perfumes are vegan, cruelty-free, hypo-allergenic, free of skin allergens, phthalates and chemical stabilisers, and available to ship internationally.